Want a straighter smile but not willing to wear metal braces? We can help with our dental services. ConfiDenT proudly offers ClearCorrect orthodontics. ClearCorrect uses comfortable clear aligners to effectively move your teeth into the ideal position. Adults can avoid the visibility and other drawbacks of traditional braces and finally attain the attractive smile they deserve. At ConfiDenT, we are committed to serving patients with the latest treatment methods in modern dentistry. Our talented dentists understand the importance of providing state-of-the-art dental care in a comfortable, rewarding environment. It is never too late to straighten your smile, so call our office to learn more about ClearCorrect orthodontics! ClearCorrect is considered a breakthrough solution in orthodontics. The invisible aligner therapy relies on a series of customized dental aligners to address your unique needs and goals for treatment. New aligners are given every few weeks to gradually and gently move your teeth into final position. Whether you are a busy parent or career-oriented adult, you’ll appreciate the ability to remain confident in social situations while undergoing orthodontic treatment. Traditional braces can pose a number of challenges, especially when it comes to dental hygiene. 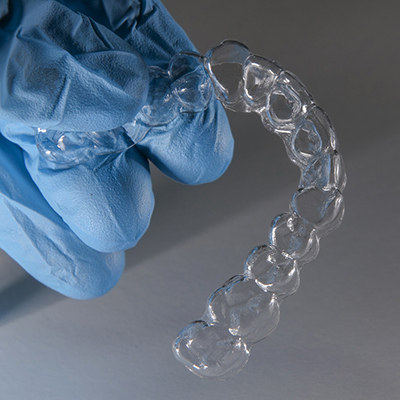 However, using ClearCorrect, patients can remove their aligners for brushing and flossing, allowing them to stay on top of their dental health without the obstacles of brackets and wires. Patients may also remove their aligners for eating, which means there are no dietary restrictions like those listed for metal braces. ClearCorrect offers the freedom to live your lifestyle while under orthodontic care, a remarkable benefit for teens and adults. Are you ready to learn more about ClearCorrect from ConfiDenT? 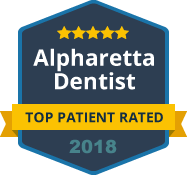 Contact our Alpharetta office today to schedule a consultation. After a thorough evaluation of your smile, we can explain what you can personally expect with ClearCorrect orthodontics.